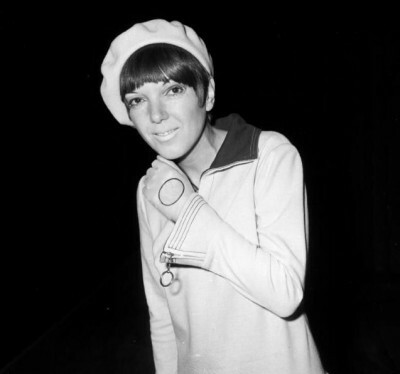 Mary Quant creation, the miniskirt, became one of the defining fashions of the 1960s. 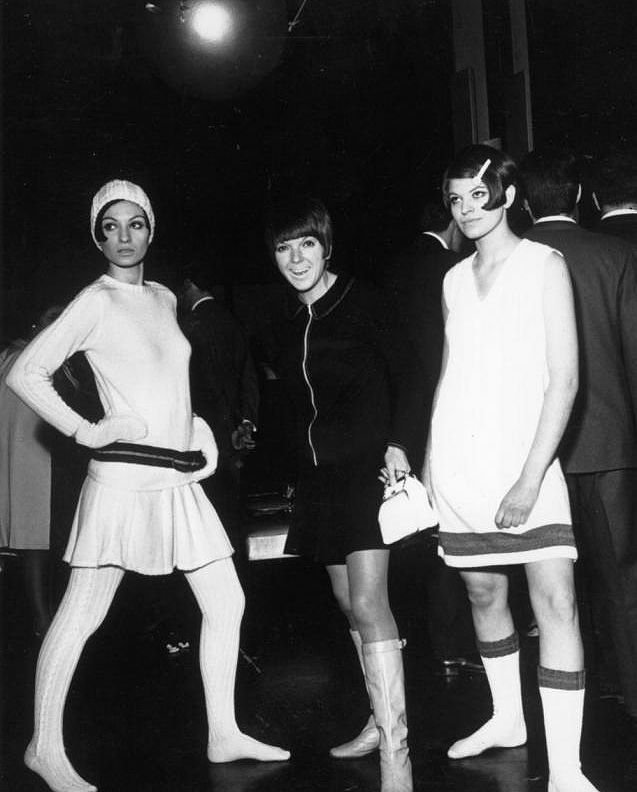 It was developed separately by designer Andre Courrèges, and there is disagreement as to who came up with the idea first. 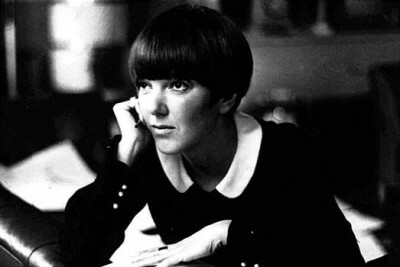 Mary Quant named the miniskirt after her favourite make of car, the Mini. 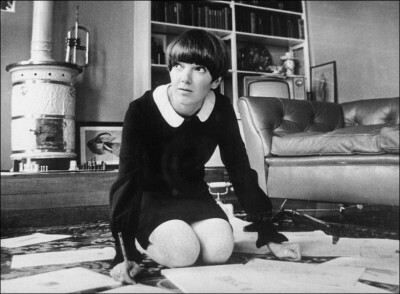 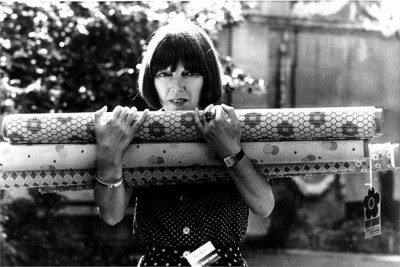 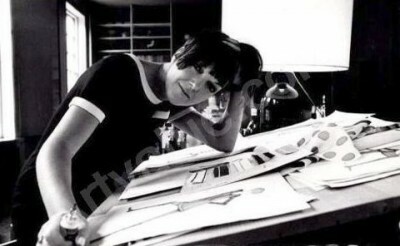 Regardless of whether she invented the mini skirt, Mary Quant was one of their major promoters, largely thanks to the fact that her store Bazaar was a popular haunt for the fashionable “Chelsea Set” of “Swinging London”. 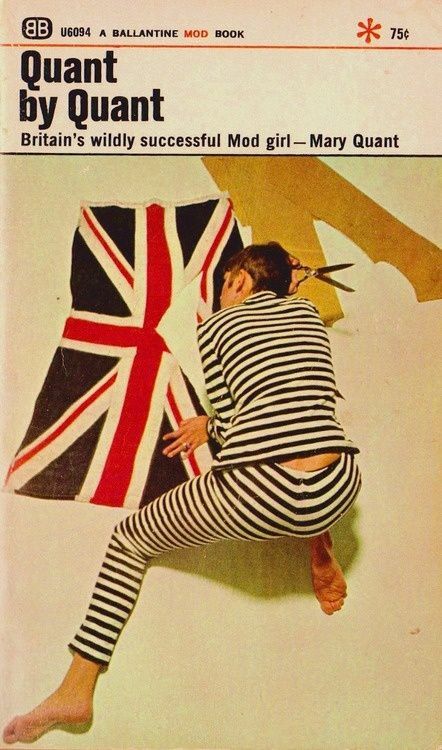 The mini skirt stood for rebellion and sexual freedom. Wearing one was a sure-fire way of upsetting your parents. 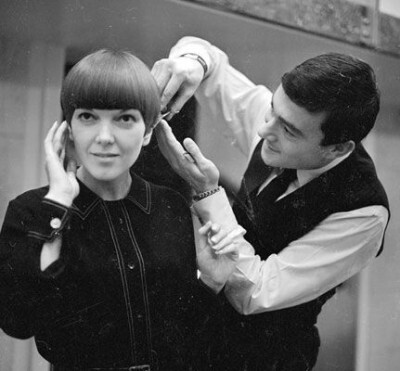 With hair stylist Vidal Sassoon getting one of his iconic hair styles. 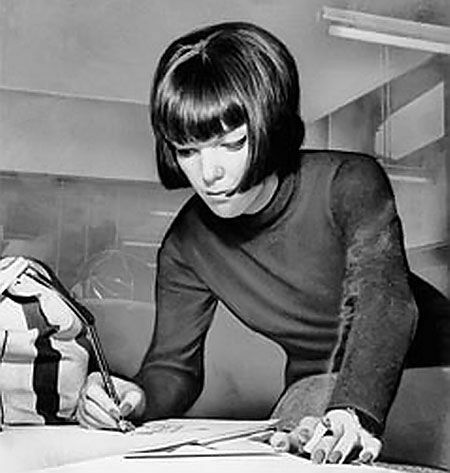 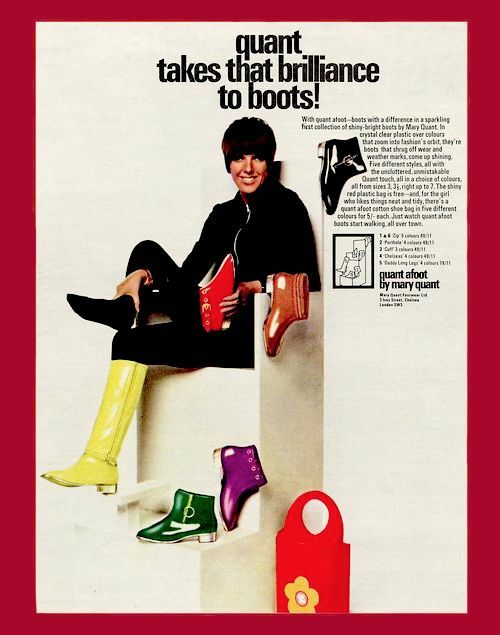 Quant’s popularity was at its peak in the mid 1960s, during which time she produced the dangerously short micro-mini skirt, “paint box” make-up, and plastic raincoats. She was described as being the leading fashion force outside Paris. 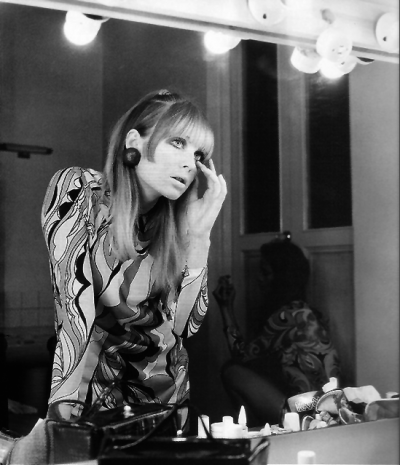 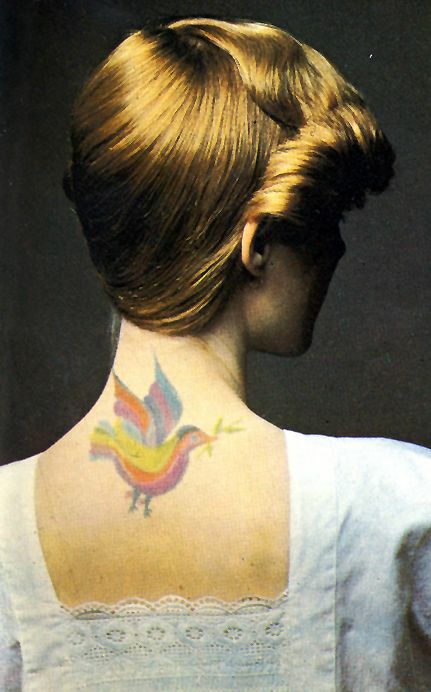 In 1970 Bernard Levin called her the “High Priestess of Sixties fashion”. 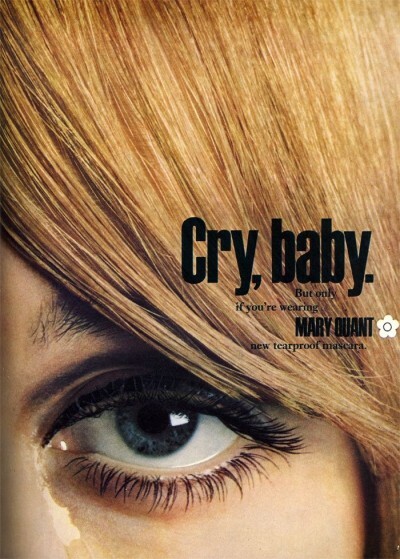 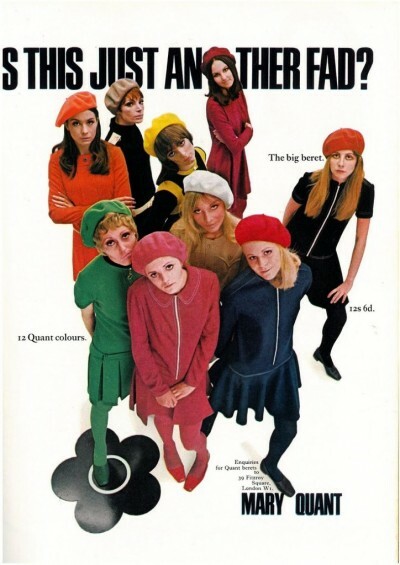 the teenage trend, the pop records and espresso bars and jazz clubs, the rejuvenated ‘Queen’ magazine, ‘Beyond the Fringe,’ ‘Private Eye,’ the discotheques, and ‘That Was The Week That Was’ were all born on the same wavelength.” -Mary Quant. 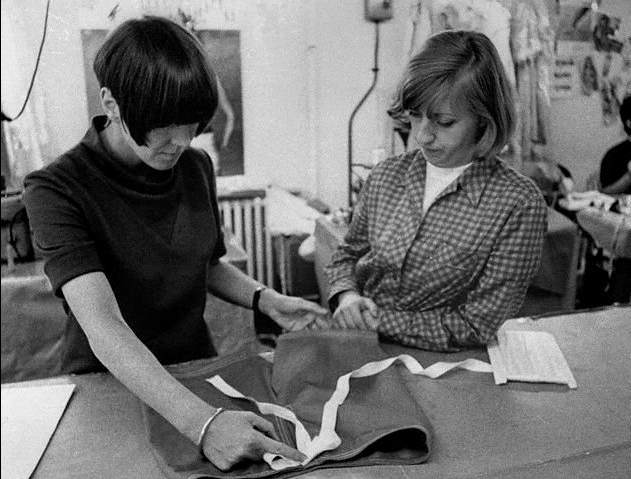 The pinafore dress, based on the traditional British school tunic, was transformed as one of the most useful garments of the early 1960s. 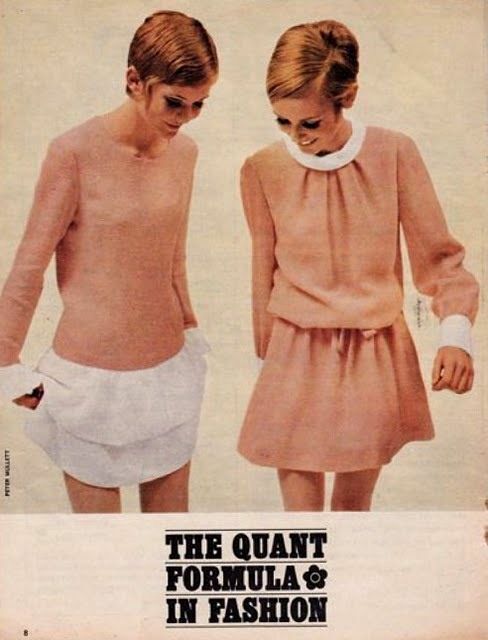 Hemlines rose higher and higher; Quant’s miniskirts reached thigh level, in 1965, and everyone followed. 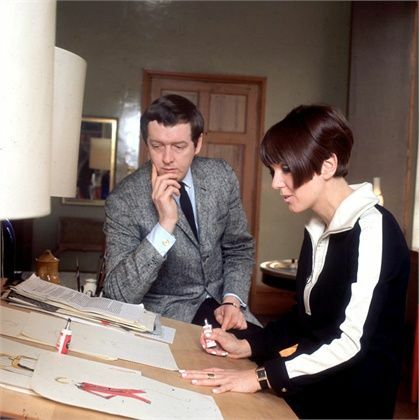 Style icon Twiggy sporting a design by Quant.